Yellow Toadflax is native to nearly all parts of Europe and Asia. This plant was brought to North America as an ornamental plant. 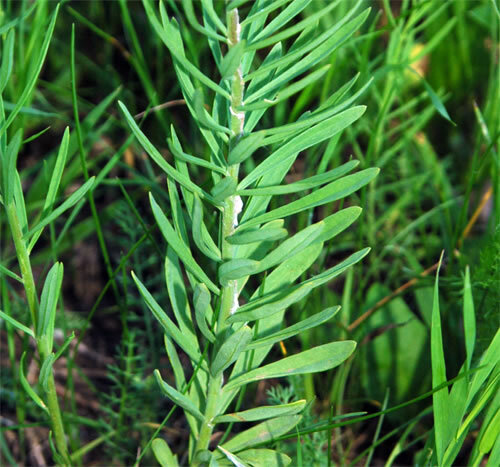 It has also been used medicinally as an anti-inflammatory and to treat digestive disorders. 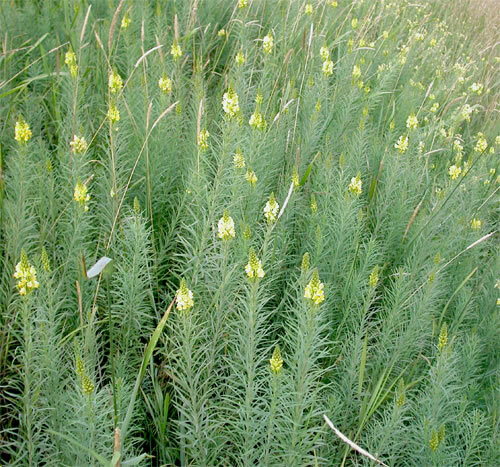 This plant has the ability to crowd out native plants in moist grassland and can form large colonies. Also known as: Common Toadflax, Butter-and-Eggs, or Spurred Snapdragon. The flowers have united petals that form an upper and a lower lip. The flower is mostly yellow with an orange centre on the lower lip. The flower also has a conspicuously long spur (point) extending outwards from the base. The alternately arranged leaves are lance-shaped, oblong or linear, and often pale green or grey-green in colour. Stems are erect and grow up to 80 cm high. 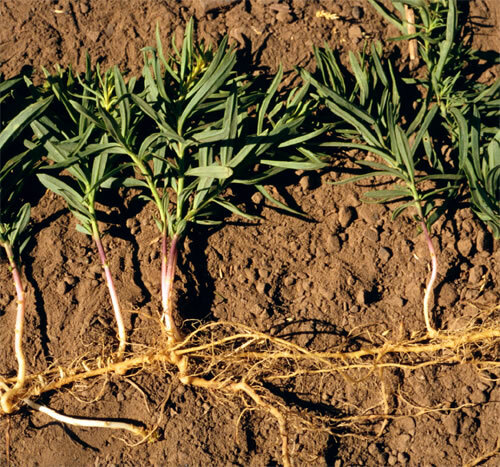 This plant reproduces by seeds and its creeping root system (rhizomes). Goats are helping to eat and control this weed at Rundle Park. To find out more, check out Edmonton’s GoatWorks Project. Dalmation toadsflax - Linaria dalmatica - but they’re both noxious weeds. Dalmation toadsflax leaves are more heart-shaped, Yellow toadsflax leaves are more linear. The two species can hybridize, so individuals can look like similar. Leafy Spurge - Euphorbia esula - it could be confusing before flowering, but toadflax stems do not contain the milky latex that spurge does. SnapDragons - Antirrhinum species - which are ornamental garden plants and fine for you to grow.